Two bedroom, two and half baths. Great views of Monterey Harbor. Updated kitchen with stainless steel appliances and granite countertops. Conveniently located. Walking distance to restaurants and shops. Views of the ocean from the living room, kitchen and upstairs bedrooms. Sit on the upstairs deck and watch waves crashing against the sand and the sailboats on the water. . Washer and dryer located in garage which also includes extra storage. 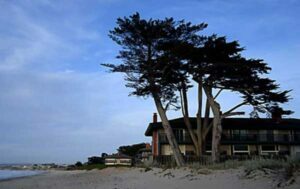 Great location easy walk to restaurants or shops in Monterey or hike the beach or hiking trail to the Wharf.